Women’s Law Association of Ontario is very pleased to announce the 2018 President’s Award will be presented to Arleen Huggins. 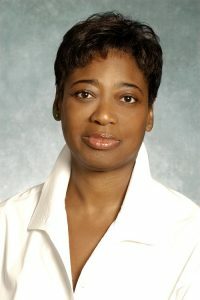 Arleen Huggins is a recognized leader in the promotion and advancement of racialized women in the law; applying the intersectionality of race and gender. Ms. Huggins has made a sustained contribution to the legal community through mentoring, advocating and volunteering. She has volunteered in a leadership role with various equity seeking organizations including CABL, the CBA, the OBA, Doctors without Borders and LEAF. She is a partner at Koskie Minsky and heads up the Firm’s Employment Law Group. She has recently been appointed as an Independent Expert Reviewer by the Secretary of the Cabinet for the Ontario Public Service for complex Workplace Discrimination and Harassment Program cases. Ms. Huggins was co-counsel for LEAF before the Supreme Court of Canada in the 1993 decision of Weatherall v. Canada (Attorney General), SCC, August 12, 1993. The WLAO President’s Award recognizes a woman, firm or organization who has made a substantial contribution to the legal community and as a recognized leader, demonstrates a commitment to the promotion of women in the law: engaged, aware and connected to issues, substantive and personal, facing women in the legal profession today. 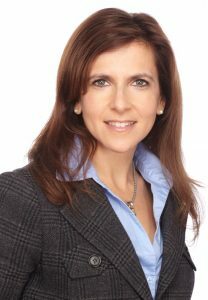 At the Award Gala, WLAO will recognise the winner of the 2018 WLAO General Counsel Chapter Award, Judy G. Naiberg, VP, Legal & Business Affairs, Sony Music Entertainment Canada Inc. As a founding member of the WLAO General Counsel Chapter and the Women General Counsel of Canada, Judy’s dedication to supporting women in law has had a great impact on creating a more equal and inclusive legal community. 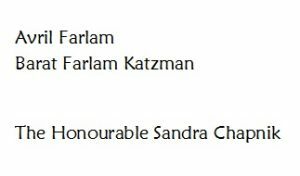 We will also present our partnered student awards including the Honourable Sandra Chapnik Women-in-Law Award, the Avril Farlam Advocacy Award, the Aird & Berlis LLP/WLAO Equality Award, and the Torkin Manes LLP/WLAO Trailblazer Award.